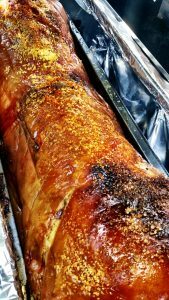 If you want an easy way to provide your party or event guests with great food, get in contact with the Hog Roast Warwick team. 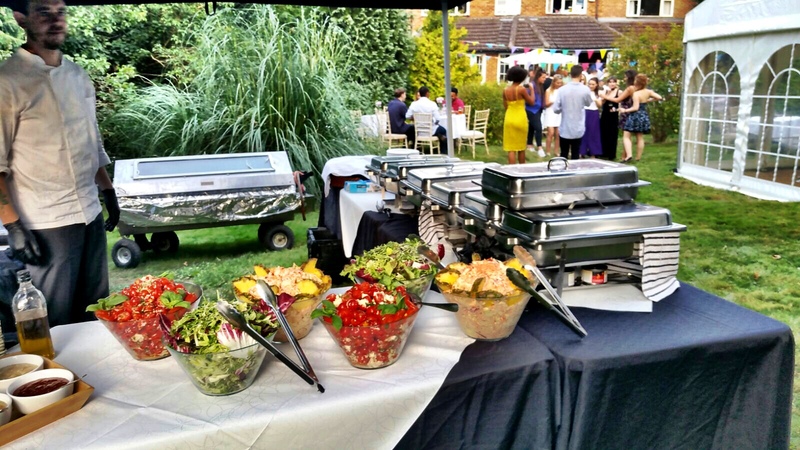 We have years of experience and have provided catering for all kinds of events, so will definitely look after you and your guests. Just relax and let us do all of the hard work. All of the ingredients we use are of the finest quality and the majority are sourced in the local area. Our professional team will arrive at your event location early to ensure that all of the food is ready on time and is served at the optimum temperature. We bring everything needed to serve the food, including high quality plastic plates and cutlery. This means that once your guests finish eating clean up is fast and easy. We also provide tables for the buffet food. 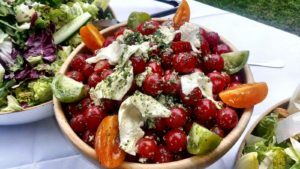 You too can offer this traditional aspect to an event of your own, no matter what the occasion may be; weddings, parties, christenings and more, we have a rich history of catering for a really diverse range of occasions! Hog Roast Warwick would be delighted to treat your guests to this traditional culinary delight at your very special Warwick event! How much you spend and which foods you provide your guests is entirely up to you. We will show you our menus and let you choose the best options for your guests. You can choose luxury, themed or cuisine specific platters, which will complement the barbecued and roasted meats we will cook for you at your event location. The food we provide is of the highest quality, and there are plenty of different menus available. Our chefs and back room staff are all professionals with years of experience, so we know how to make sure you impress all of your friends, family and guests. In the heart of the vast county of Warwickshire you will find its delightful county town of Warwick. This incredible, postcard worthy town is a tourist’s dream due to its spectacular castle and the rich array of buildings from centuries gone by. This is a town with a real diverse range of attractions and offerings. Some of the of the most beautiful Tudor buildings have been transformed into a modern array of independent businesses and shops which is a delightful way of bringing these magnificent buildings into the 21st century. One of the most amazing locations in Warwick is the ancient street of Smith Street; the oldest street in Warwick which first opened in the 15th century remains one of the busiest yet unique shopping areas in the town. Finally, the castle itself sits majestically looking over the town and is full of medieval history. Visitors can explore the castle grounds, authentic jousting shows and a small insight into the delicacy and cuisine that the previous residents of the castle may have dined on. Now, perhaps we are a little biased but here at Hog Roast Warwick we can’t help but to imagine that the regal residents and visitors to the majestic Warwick Castle may well have dined on a delicious, royal worthy feast of spit roasted meats. Throughout history, it is well cited and respected that the culinary method of spit roasting has been used as a slow cooking method even throughout the prehistoric era. Although we suspect back then that the range of meats offered was perhaps a little more exotic! We love the thought of the magnificent dining hall of Warwick Castle full of some of the most prestigious and important people of the time attending an important event where they were treated to the magnificent meal of spit roasted meat. Cooking your own party or event food is also an option. 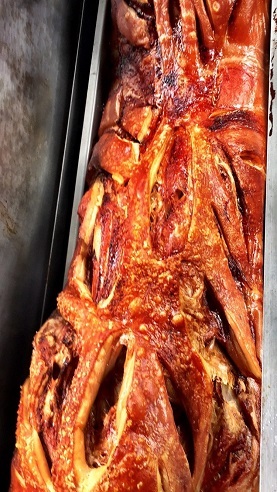 We will provide you with a professional quality hog roast machine and show you how to use it. In no time, you will be serving succulent meat to your guests that they know you cooked yourself. You will be sure to impress everyone with your culinary skills. You can order from Hog Roast Warwick online or over the phone. 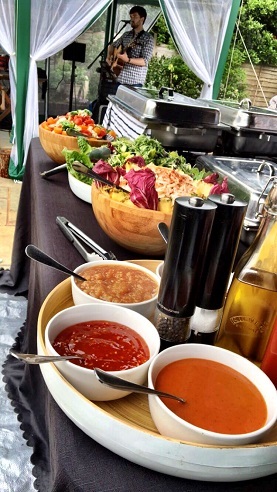 Contact us today to discuss your options and arrange the perfect feast for your special family or corporate event. Copyright © 2019 Hog Roast Warwick . All Rights Reserved.